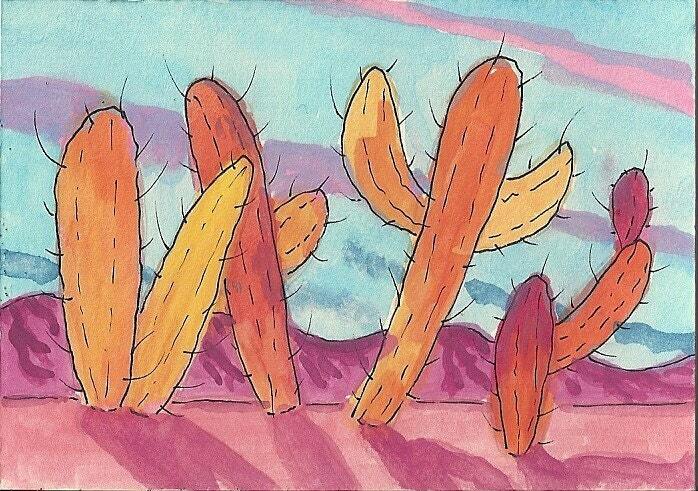 This is an image from a recent ATC I did for my Cactus Monday group. I love how the cacti glow in the afternoon sun. Each notecard measures approx 4x5" and comes with a white envelope in a cello sleeve. The card is left blank for your own personal message. A perfect Thanksgiving or Halloween card to send!